Browse through the NGV’s illustrated ebook library with this free application. Experience rich multimedia elements, such as smart reading, interactive cross-referencing and in-depth magnification for all image reproductions. 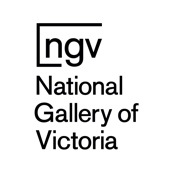 Receive updates from the NGV when new ebooks have been published. * Radiance: The Neo-Impressionists is an illustrated ebook for the iPad published by the NGV and features rich multimedia elements, such as smart reading, interactive cross-referencing and in-depth magnification for all image reproductions. Radiance: The Neo-Impressionists is an absorbing examination of the birth and development of this extraordinary art movement in France and Belgium from the 1880s through to the outbreak of the First World War. Neo-Impressionism grew from the creative spark ignited by two young artists, Georges Seurat and Paul Signac, in 1884. Adopting the lighter palette of the earlier Impressionists, but rejecting their swift technique and mixing of colours, Seurat and Signac championed the idea of painting in individual tones, placing touches of pure colour side by side with calm precision, in order to create radically luminous paintings informed by new optical colour harmonies. Featuring an essay by world-renowned Neo-Impressionist art expert Marina Ferretti Bocquillon, and generously illustrated with dazzling reproductions of works by Georges Seurat, Paul Signac, Maximilien Luce and Théo Van Rysselberghe, among others, Radiance celebrates the profound impact the Neo-Impressionists had on visual culture at the close of the nineteenth century ­ leading ultimately to the birth of modern abstraction and colour painting. * Rally: Contemporary Indonesian Art - Jompet Kuswidananto and Eko Nugroho is an illustrated ebook for the iPad published by the NGV and features rich multimedia elements, such as video and zoomable images, as well as essays on each of the artists. Jompet Kuswidananto and Eko Nugroho are members of the art community that centres on the vibrant central Java city of Yogyakarta in Indonesia. Jompet is an installation artist, while Nugroho works across diverse media; creating paintings, murals and handmade comic books, contemporary updates of the tradition of shadow puppet theatre, and collaborations with local craftspeople to produce embroideries. As a pairing, they shine light on the effervescent contemporary Indonesian art scene and present a wide-ranging, yet precise snapshot of this world.